5 Beautiful, Love Filled Stars!!! Quinn had spent all her life being rejected and insulted, Quinn was more than use to it; she longed to be loved; however, understandably she struggled to trust. John ‘Driftwood’ will stop at nothing to gain her trust and protect her at all costs; only neither of them could be prepared for the danger that lurked ahead. 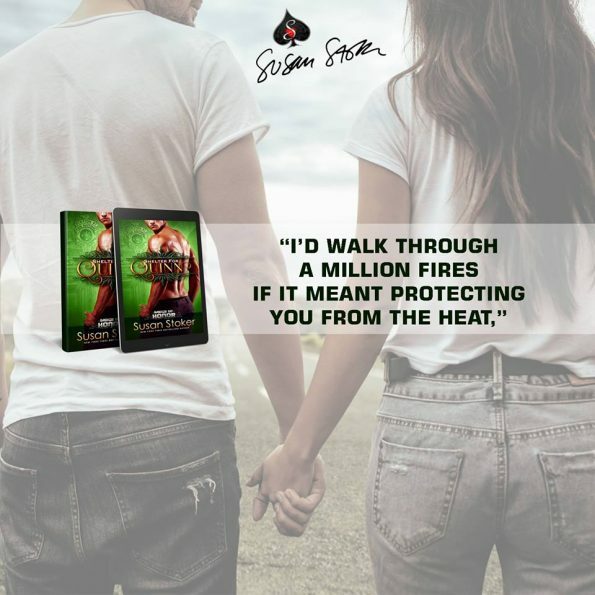 I always enjoy a romance story, I especially love a Susan Stoker romance story. Susan never ceases to amaze me with her talent for bringing to life a beautiful story, full of love, heartache, suspense, and action. She has once again given me two characters I absolutely love. Each had moments where I wanted to bang their heads together, however, deep down I’m a sucker for a couple who are meant to be, and they undoubtable won me over, heart and soul. At first, I was unsure how the storyline was going to develop, Susan as always keeping the reader on their toes, however, for the first time I did manage to work out some of the plotline that lay ahead. With this said, I wasn’t fully prepared for everything that was revealed. Regardless of this, it did not, in anyway take away from the brilliance of this story, or my enjoyment. It’s another well developed, well written, mind opening, and thought provoking, romance. I love how Susan Stoker has a unique element to each of her stories. Romance, suspense, action, great storyline, Shelter for Quinn has it all. Although part of the Badge of Honour series, Shelter for Quinn, can be read as a standalone. Personally, to thoroughly enjoy this story, reading the series in order is recommended, and trust me, you will not be disappointed.